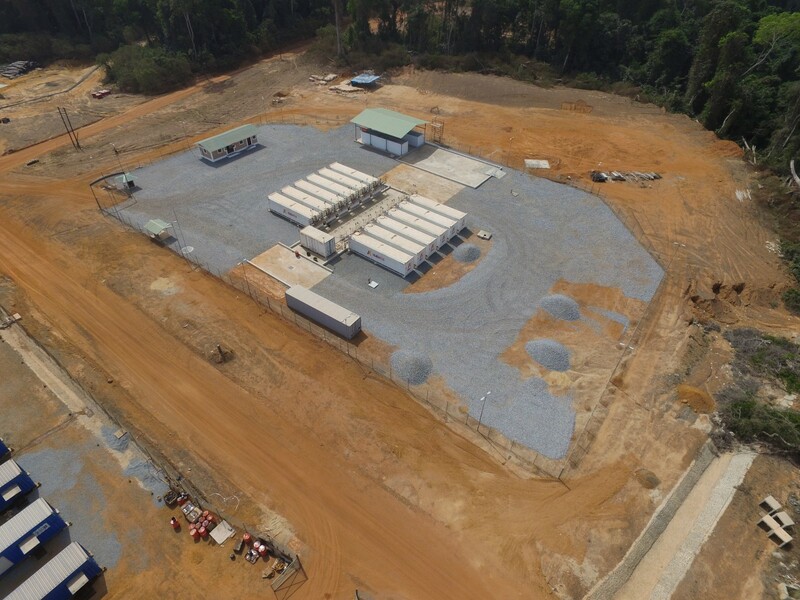 Avesoro Q1 2019 PRODUCTION UPDATE Q1 2019 PRODUCTION UPDATE – Avesoro Resources Inc.
Avesoro Resources Inc., (“Avesoro” or the “Company”), the TSX and AIM listed West African gold producer, is pleased to announce its preliminary production results for the quarter ended March 31, 2019 (“Q1” or the “Quarter”) from its New Liberty Gold Mine (“New Liberty”) in Liberia, and Youga Gold Mine, (“Youga”) in Burkina Faso. Serhan Umurhan, Chief Executive Officer of Avesoro, commented: “The Quarter saw both the mined grade and plant feed grades increasing quarter on quarter at both New Liberty and Youga and with New Liberty increasing gold production levels to achieve group quarterly production of 45,098 ounces. Our annual group guidance of 210,000 to 230,000 ounces is maintained. We expect Youga to contribute between 90,000 – 100,000 ounces, with the difference being compensated for by New Liberty, where the Company is in advanced discussions with an open-pit mining contractor. 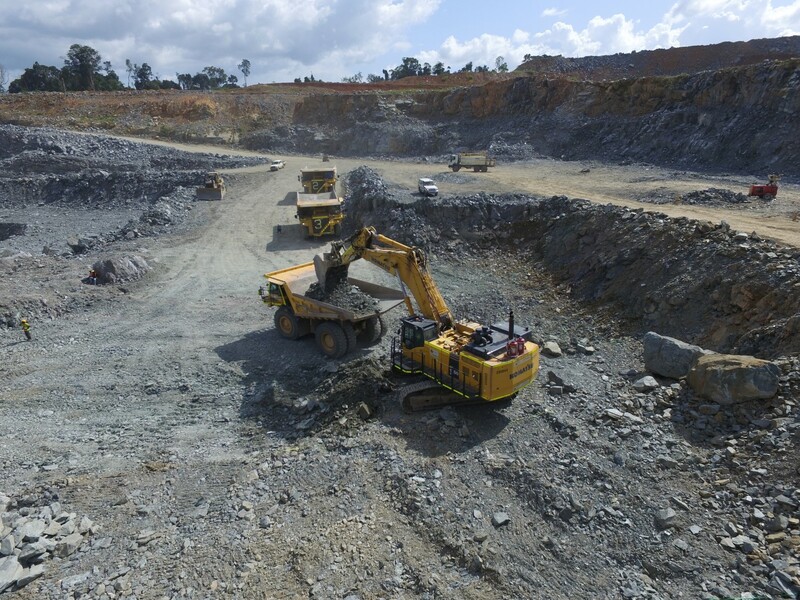 If concluded successfully, the engagement of the contractor is expected to reduce our mining costs below the already very attractive internal cost per tonne that we achieve, provide access to additional mining equipment to increase material movement and outperform the original production guidance at the mine. 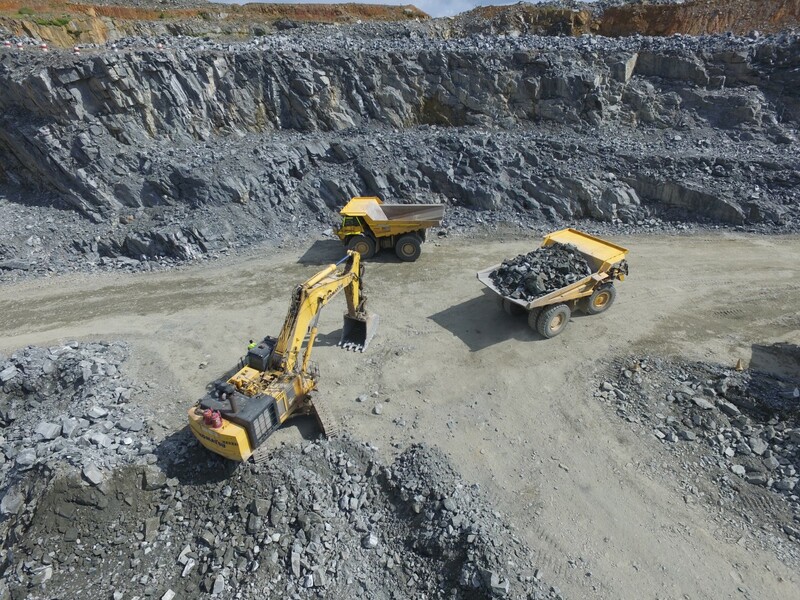 Following a strong Q4 2018 performance, further improvements in mining fleet availability and in-pit efficiencies resulted in a 24% increase in total material movement during the Quarter and a 68% increase vs. Q1 2018 as a result of the turn-around in mining operations by the existing management team. There was a strong focus on waste stripping within Q1 2019, with the waste to ore strip ratio increasing by 37% to 25.6:1. This increase in waste stripping resulted in a 9% decrease in ore mined, however this was partly offset by an increase in the mined grade of ore to 3.26 g/t Au, an 18% increase on the previous quarter’s mined grade as the ore grade improved with depth. Process plant throughput reduced at New Liberty by 15% to 308kt, due to a shortfall in accessible ore faces within the pit, resulting in gold production of 25,855 ounces, a 5% increase on production achieved during Q4 2018. New Liberty has an estimated Proven and Probable Mineral Reserve of 17Mt with 1,365,000 ounces of gold grading 2.49g/t and an estimated Measured and Indicated Mineral Resource of 20.47Mt with 1,748,200 ounces of gold grading 2.66g/t and an estimated Inferred Mineral Resource of 3.0Mt with 271,000 ounces of gold grading 2.8g/t. A supporting Technical Report summarising the PFS, prepared in accordance with CIM guidelines, is set out in an NI 43-101 compliant Technical Report dated January 31, 2019 and entitled “NI 43-101 Pre-Feasibility Report, Mineral Resource and Mineral Reserve Update for the New Liberty Gold Mine, Liberia” and is available on SEDAR at www.sedar.com. Certain information contained in this press release constitutes forward looking information or forward-looking statements within the meaning of applicable securities laws. This information or statements may relate to future events, facts, or circumstances or the Company’s future financial or operating performance or other future events or circumstances. All information other than historical fact is forward looking information and involves known and unknown risks, uncertainties and other factors which may cause the actual results or performance to be materially different from any future results, performance, events or circumstances expressed or implied by such forward-looking statements or information. Such statements can be identified by the use of words such as “anticipate”, “plan”, “continue”, “estimate”, “expect”, “may”, “will”, “would”, “project”, “should”, “believe”, “target”, “predict” and “potential”. No assurance can be given that this information will prove to be correct and such forward looking information included in this press release should not be unduly relied upon. Forward looking information and statements speak only as of the date of this press release. Actual results could differ materially from those anticipated in the forward-looking information or statements contained in this press release as a result of risks and uncertainties (both foreseen and unforeseen) and should not be read as guarantees of future performance or results and will not necessarily be accurate indicators of whether or not such results will be achieved. These risks and uncertainties include the risks normally incidental to exploration and development of mineral projects and the conduct of mining operations (including exploration failure, cost overruns or increases, and operational difficulties resulting from plant or equipment failure, among others); the inability of the Company to obtain required financing when needed and/or on acceptable terms or at all; risks related to operating in West Africa, including potentially more limited infrastructure and/or less developed legal and regulatory regimes; health risks associated with the mining workforce in West Africa; risks related to the Company’s title to its mineral properties; the risk of adverse changes in commodity prices; the risk that the Company’s exploration for and development of mineral deposits may not be successful; the inability of the Company to obtain, maintain, renew and/or extend required licences, permits, authorizations and/or approvals from the appropriate regulatory authorities and other risks relating to the legal and regulatory frameworks in jurisdictions where the Company operates, including adverse or arbitrary changes in applicable laws or regulations or in their enforcement; competitive conditions in the mineral exploration and mining industry; risks related to obtaining insurance or adequate levels of insurance for the Company’s operations; that Mineral Resource and Reserve estimates are only estimates and actual metal produced may be less than estimated in a Mineral Resource or Reserve estimate; the risk that the Company will be unable to delineate additional Mineral Resources; risks related to environmental regulations and cost of compliance, as well as costs associated with possible breaches of such regulations; uncertainties in the interpretation of results from drilling; risks related to the tax residency of the Company; the possibility that future exploration, development or mining results will not be consistent with expectations; the risk of delays in construction resulting from, among others, the failure to obtain materials in a timely manner or on a delayed schedule; inflation pressures which may increase the cost of production or of consumables beyond what is estimated in studies and forecasts; changes in exchange and interest rates; risks related to the activities of artisanal miners, whose activities could delay or hinder exploration or mining operations; the risk that third parties to contracts may not perform as contracted or may breach their agreements; the risk that plant, equipment or labour may not be available at a reasonable cost or at all, or cease to be available, or in the case of labour, may undertake strike or other labour actions; the inability to attract and retain key management and personnel; and the risk of political uncertainty, terrorism, civil strife, or war in the jurisdictions in which the Company operates, or in neighbouring jurisdictions which could impact on the Company’s exploration, development and operating activities.